This downloadable handout is intended for elementary school students and kindergartners and nursery school students at Beginner (pre-A1), Elementary (A1) and Pre-intermediate (A2) level. It is excellent for enhancing your pupils' Listening, Spelling, Speaking and Reading skills. 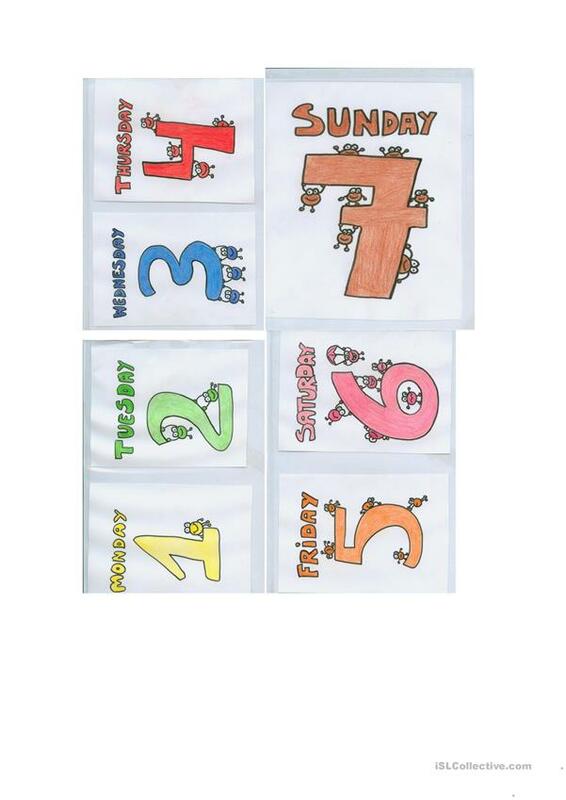 It is focused on the vocabulary topic of Days of the week. his own, not much else to tell.